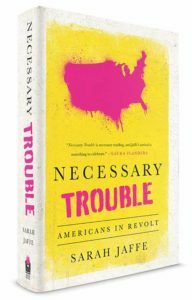 Coming up on today’s show we have independent journalist Sarah Jaffe back on the show to discuss her new book, Necessary Trouble: Americans In Revolt. Remember, you can subscribe and podcast the show for free on iTunes, Stitcher and at www.matthewf.net. You can follow the show on Twitter, Facebook, Instagram, and Tumblr, You can watch video of the show onYouTube. And you can support the show by becoming a member. We have a new podcast every Friday. Matthew Filipowicz, the host of the Matthew Filipowicz Show, is a comedian, cartoonist and satirist.